Kyle Matsutake from Selfish Fairy: Mirmo de Pon! Kyle Matsutake is a character from the anime Selfish Fairy: Mirmo de Pon!. 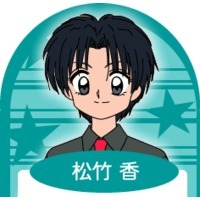 Kyle Matsutake 松竹 香 (Kaoru Matsutake) Anime Character 0 in love with Katie Minami http://www.animecharactersdatabase.com/characters.php?id=61026 Selfish Fairy: Mirmo de Pon!